For the past decade, Jelly Rolls have taken the quilting world by storm. These rolls of pre-cut, coordinated fabric strips come in a variety of designs and colors and offer time-saving quilting possibilities limited only by your imagination. If you’ve ever stood in a quilt store and wondered what to do with a Jelly Roll, then this is the video for you. Your instructor, ZJ Humbach, introduces you to this fun fabric option, provides tips and tricks for success, and gets you started with proper techniques and simple blocks. Take your time and master each session before moving onto the next or come back and review individual segments as needed. By the end of the class, you’ll be excited about working with Jelly Rolls and be eager to make the bonus project that’s included. Intro: Working with Jelly Rolls gets you off on the right foot. You’ll learn what a Jelly Roll is, what advantages it offers, and how to use it. While you can buy Jelly Rolls from a variety of sources, ZJ will show you how to make your own using your own fabric choices—a great way to tame your stash. Work Smarter, Not Harder gives you the inside scoop on the special considerations that Jelly Rolls present. ZJ makes sure you’ll avoid time-consuming and frustrating mistakes by giving you tips and tricks for working with these pre-cut strips. From tips for shopping right through to design guidance and on to preparation steps, you’ll feel confident working with a Jelly Roll. 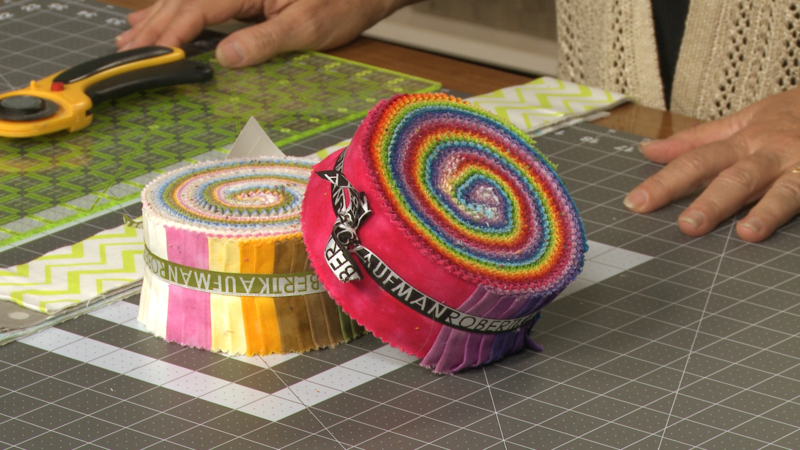 Strip Piecing is a fast, efficient piecing method and is the perfect option for Jelly Rolls. In this segment, you’ll quickly see why this technique is a favorite quilting time saver and learn how to avoid common problems when joining multiple strips together. You’ll be amazed at the versatility of stripped segments and soon use them to create blocks, sashing, and borders. Building Blocks shows you simple ways to build blocks that are fast, easy, and look fantastic. Jelly Rolls can be used to create all kinds of blocks, from simple to complex. This segment teaches you to make basic blocks that can be used alone or in combination to make stunning quilts in a jiffy. Endless Design Options prepares you to showcase your Jelly Roll blocks in beautiful quilts. Even the most simple of blocks can take center stage in the right setting. ZJ discusses a variety of ways to make your quilts pop with different settings, sashing, and borders. 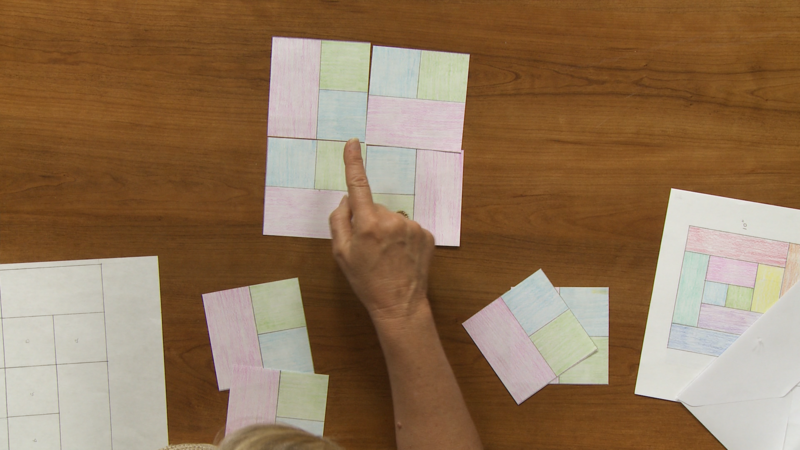 You’ll also learn tops for how to make a quilt without having to match block seams—a real time saver! 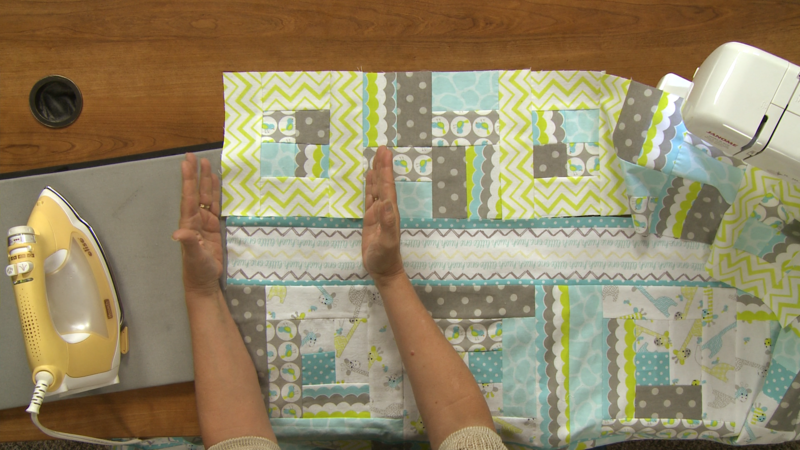 The final segment is Bonus Project: Scrappy Quilt, and it puts everything you’ve learned in the video together. It’s time to grab a Jelly Roll and get quilting. You’ll have great fun working with the pre-cut strips and have confidence knowing that the fabrics coordinate perfectly. If you tend to be a bit rigid with fabric placement, ZJ will help you release your inner child and show you how much fun it is to play with your Jelly Roll to make a scrappy throw quilt. Also included with this class are multiple bonus materials including directions to make your Sampler Quilt and tips for strip piecing and more. If you’re looking for a fast, fun way to make stunning quilts, then look no further than a Jelly Roll for perfectly coordinated, pre-cut fabric strips. 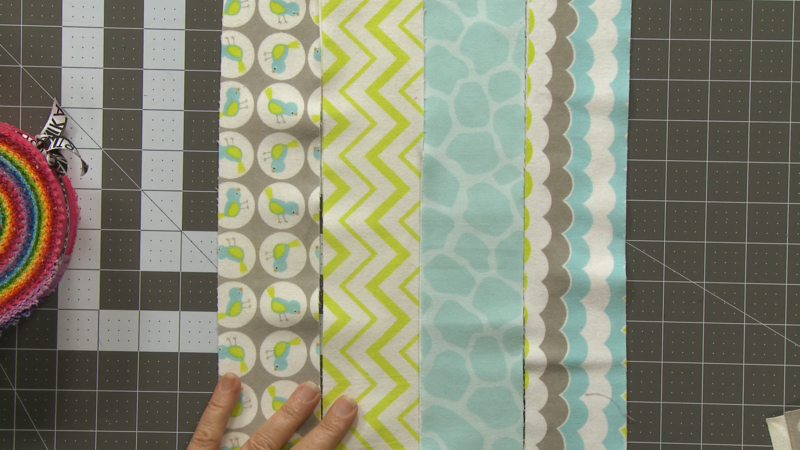 In this segment, ZJ Humbach introduces you to this fun fabric option. Learn what Jelly Roll is, what advantages it offers, how to use it, and how you can make your own. Jelly Rolls, while fun, come with their own special considerations. ZJ will help you avoid time-consuming and frustrating mistakes by giving you the tips and tricks for working with pre-cut strips. Her tips will begin at the quilt store when you go shopping for Jelly Rolls, right through to the design process and preparation. Strip quilting is a fast, efficient piecing method, and Jelly Rolls are a match made in heaven for this technique. In this segment, you’ll see why this technique is a tried-and-true time saver and learn how to avoid common problems when joining multiple strips together. ZJ also shows you some great uses for pieced strips that will convert you to stripping! Jelly Rolls lend themselves to all kinds of blocks, from simple to complex. In this segment, ZJ shows you some simple ways to build blocks that are fast, easy, and look fantastic. 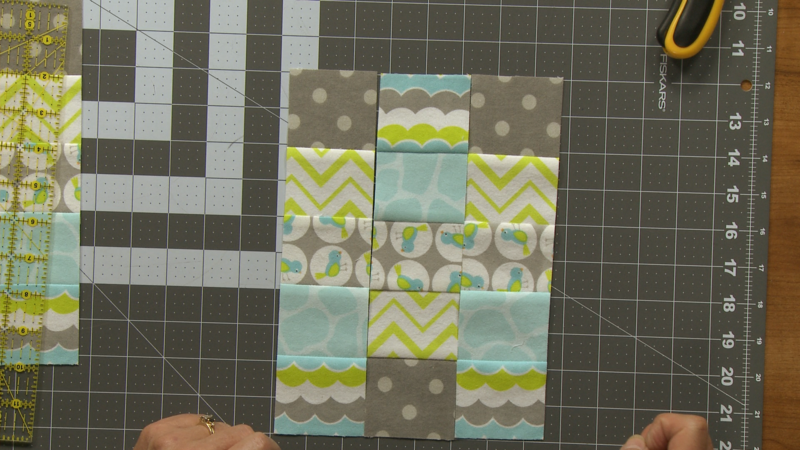 Use these blocks alone or in combination to make stunning quilts in a jiffy! Get ready to showcase your Jelly Roll blocks in beautiful quilts. ZJ discusses a variety of ways to add pizzazz with different settings, sashing, and borders. You’ll also learn tips for how to make a quilt without having to match block seams—a real time saver! 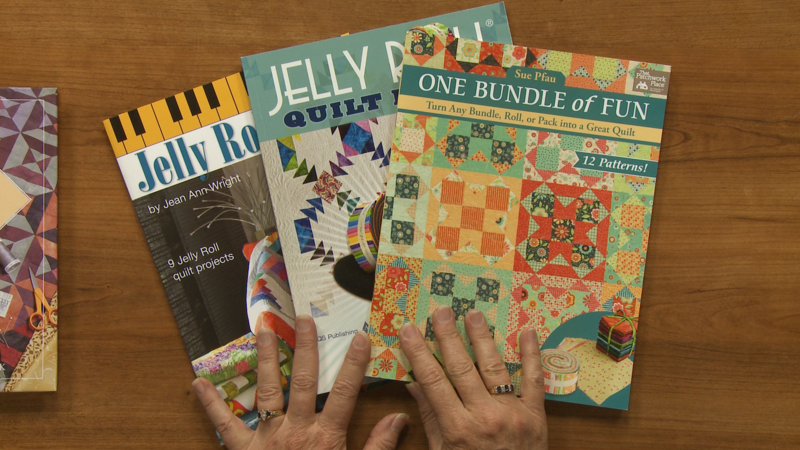 Grab a Jelly Roll and get quilting! The bonus project puts together everything you’ve learned in the video. You’ll have great fun working with the pre-cut strips and have confidence knowing that the fabrics coordinate perfectly on your scrappy throw quilt.